Watch Our Film In YOUR Local Theater! Learn more about how you can HOST YOUR OWN screening in your local theater! 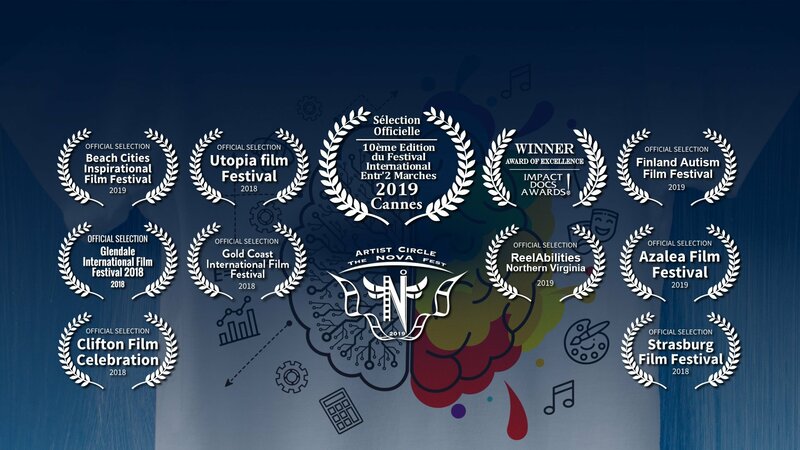 Whether for a fundraiser, raising awareness, a community event, or any other idea you may have, our film will truly inspire and move your audience, both neurodiverse and neurotypical alike! This Business Of Autism is an expository documentary film about the economic and societal benefits of employing young adults with autism. Spectrum Designs is a custom screen-printing and embroidery business located in Port Washington, New York. 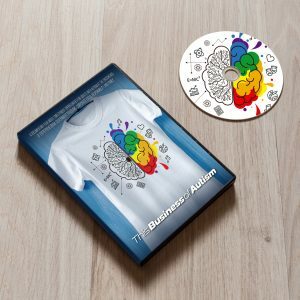 75% of Spectrum Designs’ employees are on the autism spectrum. Centered on the acquisition, renovation and launch of their new production facility, which will triple their production and staffing capacity, the film will address the positive impacts of developing profitable businesses while leveraging the unique capabilities of adults with autism. By confronting head-on the reality that an estimated 70% to 90% of these adults are unemployed or underemployed, these businesses can also provide large companies with an avenue for corporate social outreach, mitigate the economic impacts on local communities of housing and caring for adults with autism, and provide hope for families that their children might have sustainable, relevant and stimulating employment opportunities. In addition to exploring the growth and success of Spectrum Designs, the film examines several other themes and initiatives from across the country. The Autism Job Club, a networking and support organization based in San Francisco, illustrates how their group has made significant progress in placing individuals on the spectrum in high-tech Silicon Valley jobs as well as other industries. Mercyhurst University’s Autism Initiative (AIM) program is helping their students acquire not only the hard skills central to their degree, but also the “soft skills” critical in networking and interviewing. The production team traveled to Erie, PA to conduct interviews with students and administrators, and then to New York City, NY to capture the team in action as they toured companies and conducted mock interviews. Dr. Temple Grandin, a legend in the autism community, makes a special guest appearance in the film as do New York State Senator Elaine Phillips, former New York State Senator Jack Martins, Nassau County DA Madeline Singas, Town of North Hempstead Supervisor Judi Bosworth, and the former California Director of Employment Development Department, Michael Bernick.